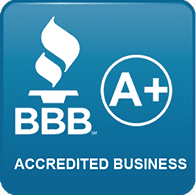 We strive for 100% customer satisfaction and truly care about our customers. Don’t suffer through the blazing Arizona summer with a faulty air conditioning system. Whether your AC is failing to cool your entire home or not turning on at all, reach out to Custom Cooling right away. Our professional team provides excellent cooling and heating services at affordable rates. As your local comfort specialist, we get to experience the current temperature you are in. We know when your air conditioning is on high demand, and we stand ready for any potential cooling issues down the line. The best part is, we are available 24 hours a day, 7 days a week to get your AC back up and running in no time at all. At Custom Cooling, we truly care about you and take your comfort needs seriously. We know that air conditioning and heating issues are not just a minor inconvenience but a necessity, especially for young children or the elderly whose health may suffer because of the sudden change in temperature. Allow us to provide you with the dedicated and reliable home comfort equipment service that you deserve. We are experienced in all system makes and models, and can tackle even the most perplexing HVAC issue. Get in touch with us today to experience the best service and installation for air conditioning and heating systems in Phoenix. Custom Cooling and plumbing was honest and helped us out right away. Wow how refreshing, a company that does exactly what they say they will do. We offer excellent service and stand behind our work. We offer fair and affordable prices to all of our customers. Available 24/7 for all of your emergency needs. 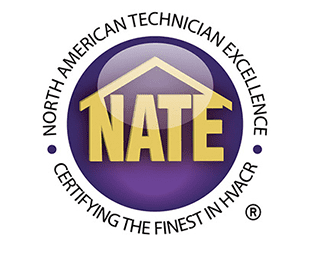 Our technicians are trained and NATE certified. Technicians are background checked and professional. We offer maintenance plans to keep your systems working. We will respond to you in a timely manner. We are ready to handle any issue that comes up. In Need of a New AC? Worried About Budget Restrictions? We have financing options available! Learn More!